The Collins Law Firm, PC has a proud tradition of making an actual, direct impact on the communities we serve. We encourage and support our attorneys and staff in initiating community service participation and playing a positive, active role in the communities in which we work and live. As a result, many of our most important community service projects have stemmed from the personal initiative of individuals at our firm. As a law firm, our mission is to advocate for those who need someone to fight for them. As a community member, our goal is to make a positive difference through support, leadership and volunteerism. Our attorneys and staff provide pro bono services to organizations devoted to the betterment of communities, and to individuals who are unable to pay for needed legal services. Each year, our attorneys donate hundreds of hours of service to non-profits and other charitable organizations. The Rotary Club of Naperville Sunrise's San Lorenzo el Tejar Water Project focuses on providing sustainable, continued access to water for 22 families who live in the area of San Lorenzo El Tejar, Pastores, Sacatepéquez, Guatemala. This region has problems with water distribution, as the families in this village only have access to water for about one hour per day. The Collins Law Firm helps raise funds necessary to support a program which constructs 22 water tanks that will guarantee that the families have access to safe and clean water all day. The H Foundation is an independent 501(c)(3) non-profit organization dedicated to making a difference in the fight against cancer. Since 2001, The H Foundation has raised nearly $6 million donating nearly every dollar raised to the Robert H. Lurie Comprehensive Cancer Center of Northwestern University. These funds are used as seed money for basic science cancer research projects to help them compete for additional government or private funding. As a result, donations have been leveraged into over $35 million of research dollars towards finding a cure. Hesed House Shawn Collins serves as a board member at Hesed House because he believes so strongly in their mission to help the homeless. He also supports their important work by raising funds and hosting events for the shelter throughout the year. Hesed House is the second largest homeless shelter (in numbers served) in the State of Illinois. The organization was founded in the early 1980's when the religious leaders of six Aurora churches and other concerned citizens formed a grassroots coalition to shelter, feed and clothe homeless individuals and families found walking the streets in adverse weather conditions. Since then, Hesed House sees a new person at its doors every 8 ½ hours, and serves over 1,000 unduplicated guests each year. The organization strives to get 16 or 17 individuals out of homelessness each week. Hoosier Environmental Council is a non-profit organization devoted to identifying the biggest environmental challenges facing Indiana, and uniting people toward a solution. They use a combination of education, advocacy, and sometimes, litigation, to address those challenges. Last year, an HEC-led coalition successfully pushed back against efforts to prohibit Indiana policy makers from strengthening environmental safeguards stronger than the minimum federal standard. The result is a new vision of Indiana's future: one of cleaner air, safer water, more protected land, and ultimately, a healthier, higher quality of life. Community 4:12's Annual Giftmart, are hosted to benefit the school communities in East Aurora and Joliet. For almost a decade, these Giftmarts have provided the gift of dignity by collecting more than 67,000 toys and selling them at a cost of $2 per toy in communities that would not have been able to purchase presents during the holiday season. Blackwell Back-to-School Bash - Each year our office manager, Yvonne Blackwell, hosts a back-to-school bash for children of the community. The kids love coming together for food, fun and games. However, the intended purpose is to provide school supplies to children whose parents are on strictly tight budgets, as well as offer a message of encouragement to help families start the year on a positive note. 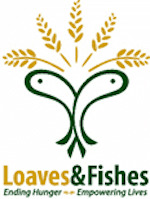 Loaves & Fishes Community Pantry is a registered 501(c)(3) organization that has served the economically disadvantaged since 1984. The organization's mission is to end hunger in their community by providing food and uniting and mobilizing resources to empower people to be self-sufficient. In the fiscal year 2014, Loaves & Fishes provided nourishment to 131,768 people and 3,447,946 pounds of groceries to families. KidsMatter is a Naperville not-for-profit organization whose mission is to build resilient kids who say "no" to destructive choices and "yes" to endless opportunities. Their programs and events emphasize on empowering kids and parents by providing tools, resources and education on essential development assets-i.e. support, empowerment, constructive use of time, commitment to learning, positive values, social competencies, positive identity and boundaries and expectations-that allow people to make wise and responsible decisions. 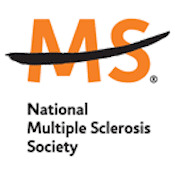 The Illinois Chapter of the Multiple Sclerosis Society works to find a cure for multiple sclerosis as well as address the challenges and improve the quality of life for people affected by multiple sclerosis, and to raise funds for critical multiple sclerosis research. The organization drives change through advocacy, facilitates professional education and provides programs and services that empower people with multiple sclerosis and their families to move their lives forward. To the Maximus Foundation is a 501(c)(3) Non-Profit organization committed to the education and awareness of the dangers of synthetic marijuana (cannabinoids) and "Bath Salts" (synthetic cathinones). The foundation advocates for the eradication of synthetic drugs from the open market, in gas stations, convenient stores, tobacco shops and over the internet. The organization is named in honor of Max Dobner, 19, who died after using Synthetic Marijuana for the first time. Feed My Starving Children (FMSC) is a Christian non-profit organization committed to feeding God's children hungry in body and spirit. The organization hand-pack meals specially formulated for malnourished children and sends them to partners around the world where they're used to operate orphanages, schools, clinics and feeding programs to break the cycle of poverty. Since its formation, FMSC food has reached more than 70 countries. 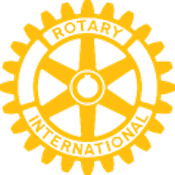 The Rotary Club of Naperville Sunrise's Tikodane Clean Water and Education Project focuses on providing clean drinking water to communities in need. Administered through the Tikondane Community Centre in Chipata, Zambia, Africa, the funds support a program aimed at improving the basic health and nutrition of a population of 20,000. The program constructs wells that supply clean water for drinking and cooking as well as to irrigate gardens that produce high protein vegetables to supplement a meager diet. Children in particular benefit from a reduced rate of illness from water-borne diseases and the nutrition increases their ability to learn at school, which is also provided by Tikondane and the Rotary Club of Naperville Sunrise. Through our pro bono and community service, we believe that The Collins Law Firm, PC stands for more than excellent legal services. Our commitment to community involvement is a testament to the firm's core values.